The 2017 Volkswagen Passat is a popular midsize sedan among families in Brandon and throughout the greater Tampa area. In addition to the premier German craftsmanship and engineering, the Passat is also equipped with a full lineup of advanced safety features that are built to keep you safe and put your mind at ease. Check out the top safety and driver assist features on this model, and then experience it at Reeves Volkswagen. In government crash safety tests, the VW Passat earned the top overall rating of five stars, giving you added peace of mind on the road. As soon as you shift the vehicle into reverse, the rearview camera will display its wide-angle view of what’s behind you, keeping you more aware of what’s around you. Using advanced sensors, the Blind Spot Monitor is able to detect when a vehicle is in your blind spot and warns you that it’s there when you switch the turn signal on. 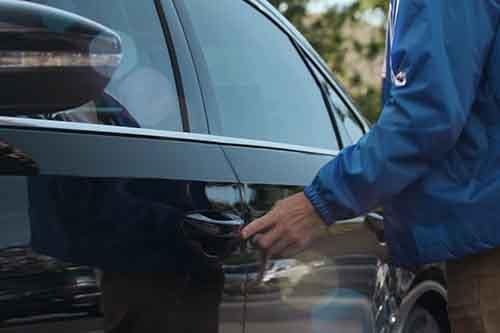 This feature gives you added security, allowing you to call for emergency assistance, check vehicle diagnostics, make sure the doors are locked, and more. Take the short drive from Clearwater to check out the current VW Passat lineup at Reeves Volkswagen, and see if any of them are on our list of new vehicles specials. While you’re here, talk to someone in our finance center about leasing vs. financing. You can even apply for a loan before your visit to our Tampa dealership. If you have any questions, don’t hesitate to reach out at your convenience.